I wonder if there could possibly be a more succinct, thorough and apt phrase by which to live our lives. 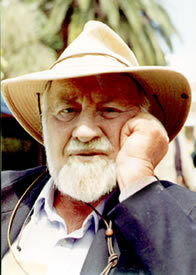 This, to me, demonstrates the genius of Bill Mollison. We have heard many criticisms of Permaculture, but these are always criticisms of the efficacy of people’s application, or queries regarding someone’s interpretation. A good friend of ours once said to us “Permaculture is just common sense”, and although there is probably a grain of truth to this comment, it ultimately demonstrates a lack of understanding of what Permaculture actually is. A lot of the principles and techniques that have come to be associated with Permaculture could be described as common sense, but it is the conscious, deliberate, considered application of these principles as part of a design process, that makes Permaculture effective. But for us, the brilliance of Permaculture is in its ethical underpinning. Any design must pass through the filter of its three ethics – Care of the Earth, Care of People, and Set Limits to Population and Consumption. Again, we have heard criticism of the ethics: primarily that they are too vague, too easily interpreted in a way that can excuse unethical behavior. The Prime Directive addresses this concern, by teaching us to make decisions based on the principle of taking responsibility, not just for our own lives, but also for future generations. Both this proverb and the Prime Directive demonstrate an important truth: sometimes we must make short-term sacrifices, for long-term gain. “An act of giving up something valued for the sake of something else regarded as more important or worthy” and this is something that we have become more aware of as we transition to our own Permaculture life. The word sacrifice has negative connotations, as we tend to concentrate on the “giving up” aspect, rather than the reason for doing so. We are now facing a reality, that we must leave huge quantities of fossil fuels in the ground, in order to prevent potentially devastating climate change. Such a decision could have enormous implications for modern society across the globe: economically, politically, socially. But this is an example of a sacrifice that simply has to be made, whatever the cost, as the alternative is suffering on an even greater scale. I do not think any sensible, rational person would take this to mean that we should immediately switch everything off, ditch all our cars and planes, and reject all of modern society overnight. But it is important and useful to be mindful of the concept when making decisions, as it is easy to get caught up in the moment, and let ourselves be led by our immediate needs and desires. So we can use the Prime Directive of Permaculture as a set of design “blinkers” that we put on ourselves occasionally, to ensure that we are able to look further down the road, and implement our designs accordingly. Last week we bought some little Monkey Puzzle trees from a small local nursery. Even if these trees survive and successfully bear fruit, we will be very fortunate if we ever taste the nuts that they produce: that is a yield for our children and grandchildren to enjoy. We were also given some Maidenhair trees last year, which we understand can take 20 years to bear nuts, so this again is a long-term design element, and when we put all these trees in the ground next week, we will very much be planting for the future, and can look forward to watching them grow into mature trees as the years pass by. In his lovely Observations film: https://vimeo.com/54175192, Ben Falk explores the idea of “harvesting time” and discusses the non-material yields we can experience by planting trees, and the pleasure we can derive from enjoying seeing their growth. We experience this pleasure when we plant something like wild garlic on our land. It is wonderful to know that this will spread and become abundant, and with each passing year we will take joy from seeing its growth. There is a huge amount of spiritual satisfaction that comes from this thought. The beauty in planting a living legacy for future generations is unique and intangible, and it is something to cherish. Such actions can even give a purpose and enjoyment to the ageing process itself and allow us to enjoy the passing of time, rather than lament it.